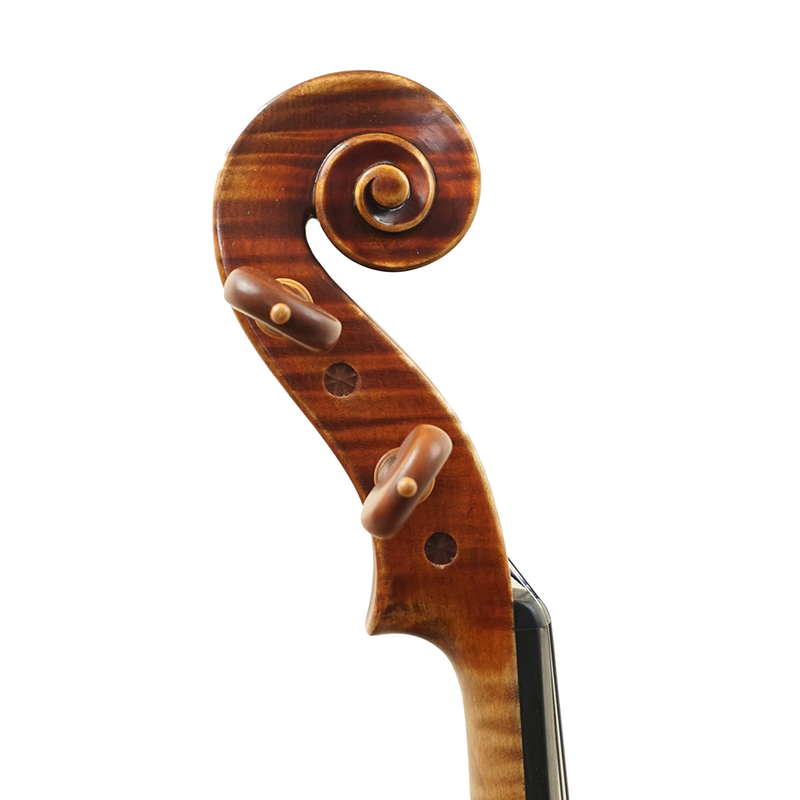 “Vitto Rossi” Violin is made in a traditional family workshop that has dedicated three generations to the pursuit of perfectly combining music with instrument making techniques; Hand crafted with the best available tonewood, naturally air-dried for over ten years. 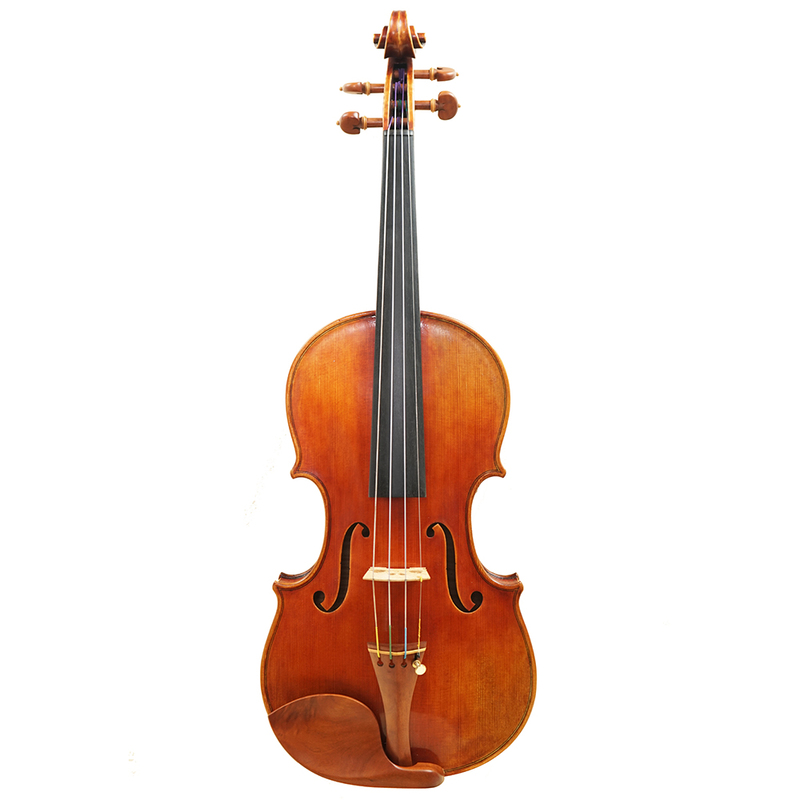 The violin is excellent in everyway. Highly flamed maple back, ribs and scroll and select spruce top. It’s antiqued with beautiful golden brown varnish. The tone is well-balanced, round and powerful. 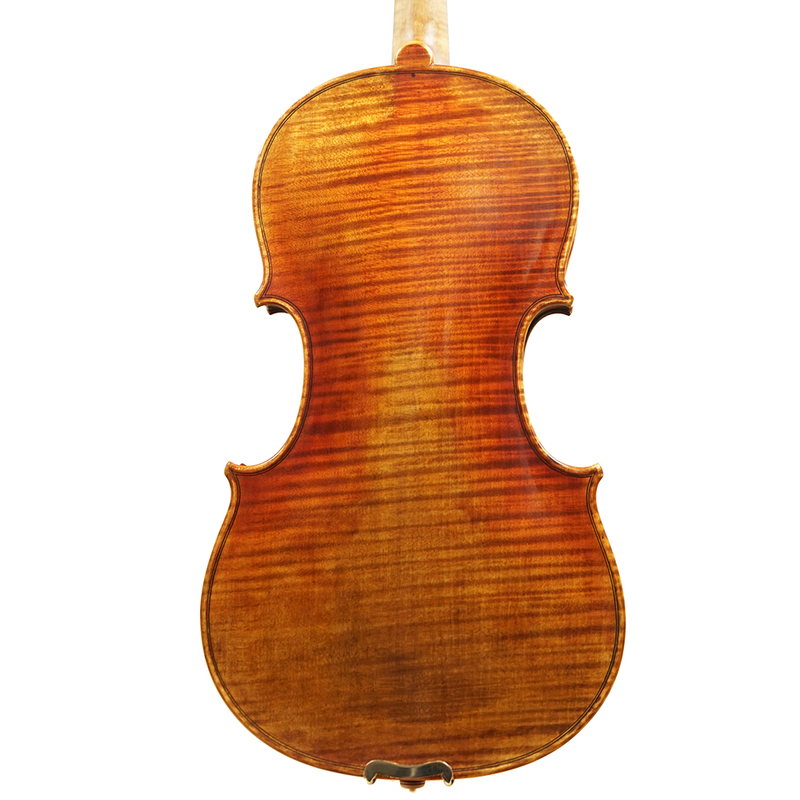 Stradivari and Guarneri models available. 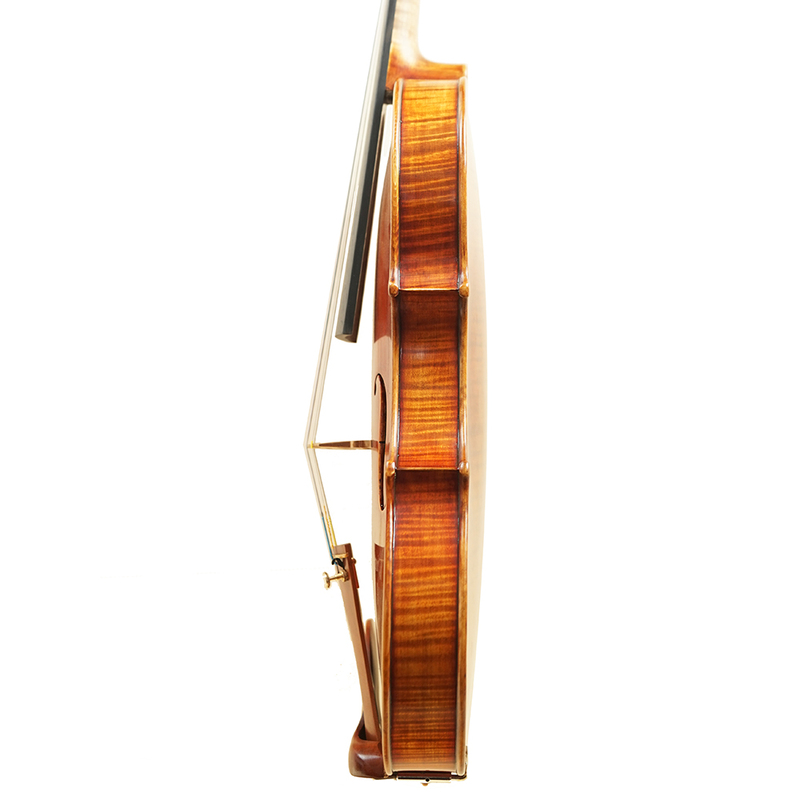 Setup: Dominant Strings, Aubert “DeLuxe”bridge, Ebony fingerboard , Boxwood pegs, Chin Rest and Tailpiece.